Rotary blasthole drilling rigs are machines used in surface mining at quarries and open pit mines. The main purpose of blasthole drilling is to drill the rock to a certain depth and create blast holes for loading explosives. The precision in drilling blast holes to a particular depth and size is of utmost importance for a successful explosion of the mining area. These rigs are fitted with bits made of tungsten and other material, which can be changed depending on the softness or hardness of rocks at the mining location. 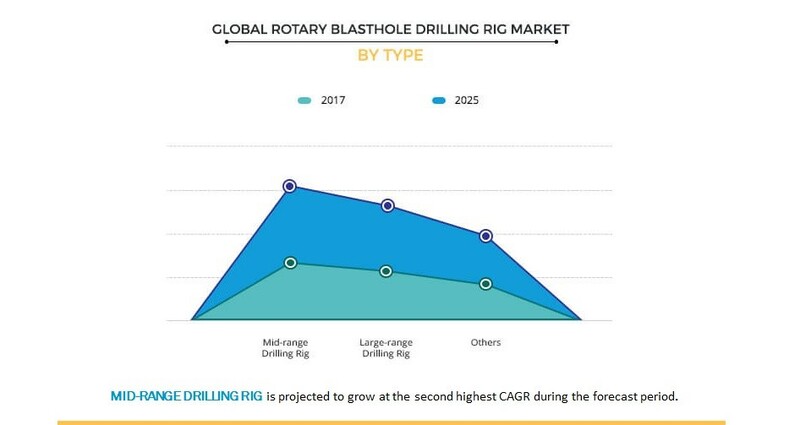 The global rotary blasthole drilling rig market was valued at $2.60 billion in 2017 and is projected to reach $3.50 billion by 2025, growing at a CAGR of 3.7%. Factors such as increase in demand for metal and minerals, expansion of existing mines, and growth in construction of roads, tunnels, and railways drive the growth of the market. In addition, rise in technological advancements and introduction of various powerful rotary tricone drill rigs supplement the market growth. Moreover, government and other communication groups have focused on increasing the coverage of railroad and roadways, through different geographical areas. The global rotary blasthole drilling rig market is segmented based on type, application, and region. Based on type, the market is categorized into mid-range drilling rig, large-range drilling rig and others. The large-range drilling rig segment is anticipated to dominate the global rotary blasthole drilling rig market throughout the study period. Based on application, the market is categorized into quarries, open pit mining, and others. The open pit mining segment is projected to dominate the global rotary blasthole drilling rig market in future, due to increase in the expansion and rise in investment to extract minerals to meet the global consumable demands. Based on type, the market is segmented into mid-range drilling rig, large-range drilling rig and others. Among these, the large-range drilling rig was the highest contributor in 2017 and is expected to grow at a significant growth rate during the forecast period, owing to increase in deployment of rotary blasthole drilling rig at small quarries and construction of tunnels, roads, and railways in hilly areas. The mid-range drilling rigs are less expensive as compared to large-range drilling rig that can create blasthole of diameter ranging from 8 inches to 16 inches. Moreover, the mid-range drilling rigs segment is expected to register second highest growth during the forecast period. The market is analyzed across North America, Europe, Asia-Pacific, and LAMEA. Asia-Pacific accounts for the highest share in the global Rotary Blasthole Drilling Rig market and is projected to grow at a significant CAGR, due to presence of maximum mines to extract, uranium ore, lead ore, gold, petroleum or mineral oil, coal, bauxite, copper, manganese, and iron ore. China is a pioneered the rotary blasthole drilling rig in the market. Therefore, it accounts for the highest market share among the countries in Asia-Pacific. 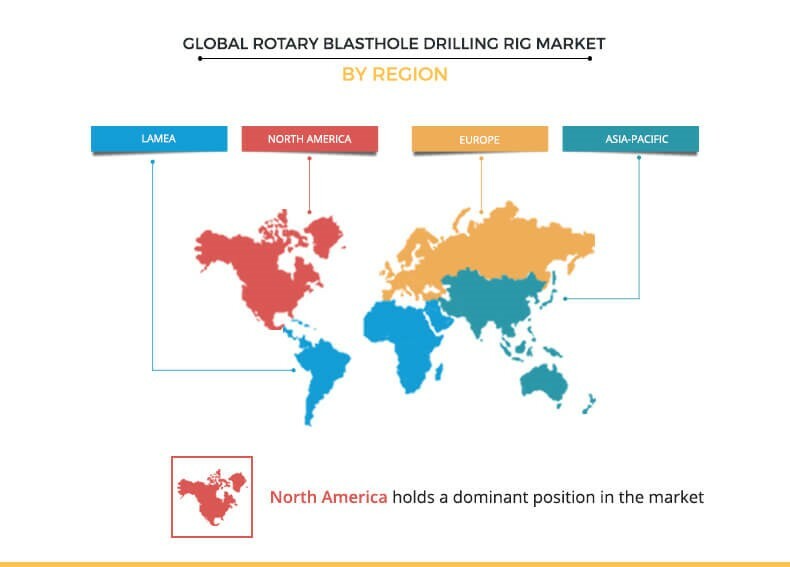 The study provides an in-depth analysis of the global rotary blasthole drilling rig market along with the current trends and future estimations to elucidate the imminent investment pockets. 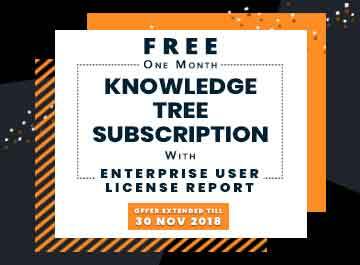 Information about the key drivers, restraints, and opportunities and their impact analyses on the market is included in the study. Porter’s five forces analysis illustrates the potency of the buyers and suppliers operating in the industry. 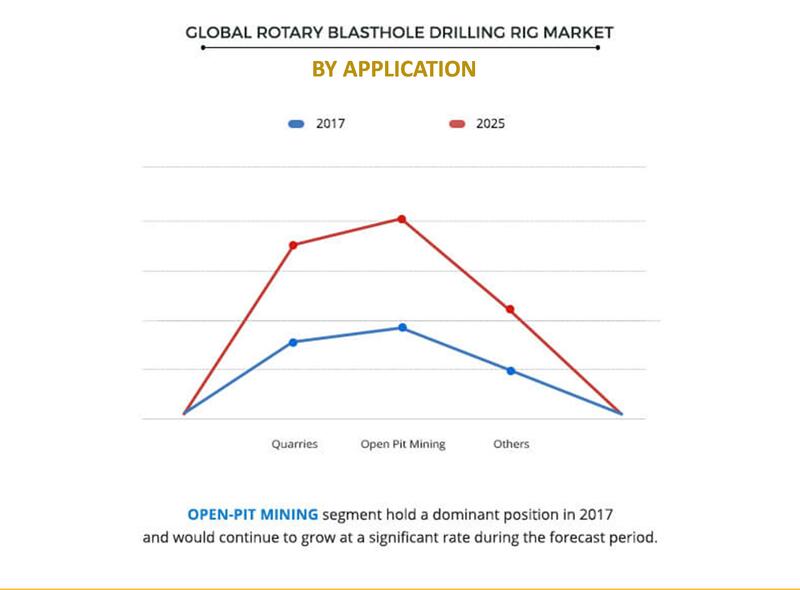 The quantitative analysis of the global rotary blasthole drilling rig market from 2017 to 2025 is provided to determine the market potential. 7.6. NANCHANG KAMA CO., LTD.
7.10. SUNWARD INTELLIGENT EQUIPMENT CO., LTD.
Rotary blasthole drilling rigs are machines used in surface mining at quarries, and open pit mines. The main purpose of blasthole drilling is to drill rocks to a certain depth and create blast holes to load explosives. These rotary drills were first introduced in China, but have been extensively used across the world post their commercialization. Blasthole rigs have improved over the years owing to advancement in technologies that facilitate drilling precise blast holes. The market has evolved with the availability of different types of bits for mining soft and hard rocks. However, high costs of these machines discourage buyers to shift their focus toward rental services. Hence the rental servicing companies frequently buy these machines to cater to the high demand from the mining industry. Nowadays, rotary blasthole drilling rig has become technically advanced with the help of artificial intelligence (AI) and internet of things (IoT). For instance, these technologies can help the controller in drilling the blasthole at the right location with assistance and precision. Moreover, advancement in the rigs has further increased the accuracy of the equipment. Moreover, construction of tunnels, roads, railway tracks, and demand for metals fuel the growth of rotary blasthole drilling rig market globally. Furthermore, the existing quarries, and open pit mining have expanded across the globe to cater to the demand for minerals and metals owing to rapid urbanization. Ongoing innovation activities to develop the rotary blasthole drilling rig are expected to further propel the growth of the industry. Countries, such as China, India, Australia, the Middle-East, and Africa, have fueled the increase in demand for rotary blasthole drilling rig due to maximum number of mines and presence of minerals and metals. The mining industry is driven by the abundant availability of metals and minerals across the regions. Hence, the demand for rotary blasthole drilling rig is expected to thrive in the Asia-Pacific region due to its mineral-rich land. Furthermore, the demand is projected to be less in Europe region owing to limited quarries and open-pit mining. However, rise in rapid mining activities in the region is anticipated to boost the adoption of rotary blasthole drilling rig in both North America and Europe. "Rotary Blasthole Drilling Rig Market, by Type "